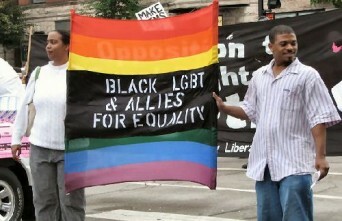 The studies indicate that African-Americans often face unique challenges in the coming out process, but that the results of coming out are very beneficial. For LGBT people, coming out of the closet is actually good for our health. Boston University researchers called it last year and now, a team from the Universite de Montreal are backing up the claim. And yet, African-American men face unique challenges coming out, according to researchers at Rutgers University. In a study of 87 men and women that measured depressive symptoms and the cumulative impact of stress on the body, researchers at the Centre for Studies on Human Stress (CSHS) at Louis H. Lafontaine Hospital, affiliated with the University of Montreal, found that gay and bisexual men had lower stress hormone levels and fewer symptoms of anxiety, depression and burnout in comparison to their heterosexual counterparts. What’s more: Gay men and women and bisexuals who were out to family and friends had lower levels of psychiatric symptoms and lower morning levels of the stress hormone cortisol than those who were still in the closet, said the study’s lead author, Robert-Paul Juster, in a release. Posted January 31st, 2013 & filed under Health.